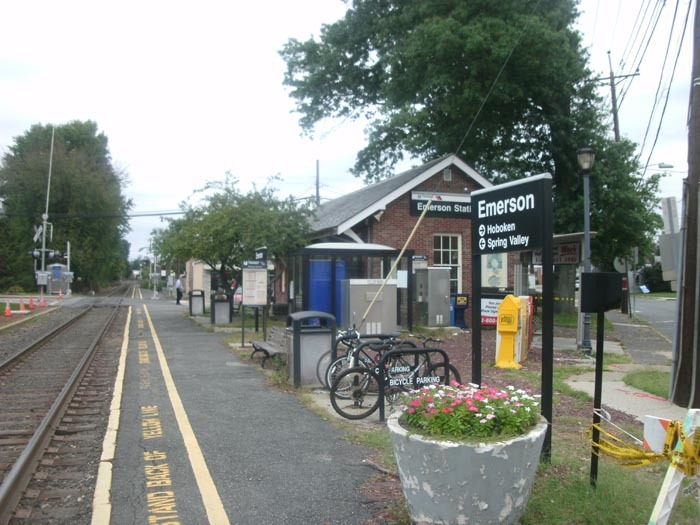 Emerson, NJ originated from portions of the Washington Township as the Borough of Etna, a railroad station in the community. The name Emerson itself was named after a known author by the name Ralph Waldo Emerson. The borough has a total area of 2.399 square miles with a population of 7,669 people and the ZIP code: 07630. Emerson offers its residents a suburban environment and most of them are private home owners. It is home to a lot of parks used for recreation purposes while some are memorial parks honoring veterans from Emerson. If you are considering starting a family here, the Emerson School District has three amazing public schools namely Memorial Elementary School with 297 students in Pre K-2, Patrick M. Villano Elementary School with 335 students in grades 3-6 and Emerson Jr. / Sr. High School with 572 students in grades 7-12. The flexible student-teacher ratio ensures that your child gets the best education and student care here. Pimaan Thai Restaurant: For lovers of Thai food and all things spicy, the Pimaan Thai restaurant is a must-visit. From delicacies like The Pad See Ew and the Duck Noodle Soup, to the Spicy Duck Salad, the dishes at Pimaan Thai Restaurant remain unmatched. The prices are affordable, the staff very attentive and helpful and the food is delicious and bursting with flavor. The setting inside the restaurant is quite warm and intimate, making it the perfect spot to take your loved one for dinner when celebrating your anniversary. Granita Grille: The Granita Grille is famous for its comfort Italian cuisine. The owner, Mr. Ralph, goes above and beyond to ensure you enjoy the best dining experience. Apart from the gracious nature in which he greets and welcomes his customers, he ensures that his staff treats the clients with respect and the food prepared is up to par. The pasta is fantastic and the cavatelli con broccoli is absolutely mouth-watering. The prices at the Granite Grille are affordable and among the best in the borough. Hiram Blauvelt Art Museum: The Blauvelt Demarest Foundation established the Hiram Blauvelt Art Museum in 1957. This served as a tribute to the late Hiram Blauvelt, a conservationist, philanthropist and a collector. The Museum was established with the aim of promoting the cultural value of wildlife art as well as emphasizing on the need for conservation of the same. Palisades interstate Park: This iconic landmark was formed under an interstate compact in 1900. It was developed by governors Foster M. Voorhees of New Jersey and Theodore Roosevelt of New York. This was in response to the destruction of the cliffs of the west bank of the Hudson River spiraling down north of the Manhattan Island. The Palisades Interstate Park was labelled a National Historic Landmark in 1965 with the designated area being: the Palisades Park in New York State, the Tallman Mountain State Park in New York State and the Palisades Park in New Jersey. Considering to buy a new home in Emerson, NJ? Browse through the latest Emerson listings to find out more.